Latex foam pillows are considered by experts to be the best type of pillow out there. There are different types of latex foam pillows. 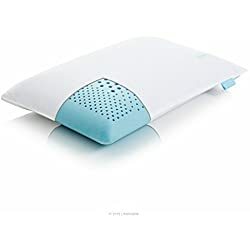 There are some for lumbar cushions and neck rests and then there are latex foam bed pillows, which are intended to provide comfort for the head when sleeping. Some of the sizes they come in are king, queen, and standard sizes. In addition, they come with different types of covers. These include terrycloth, polyester/cotton, wool, and organic cotton. 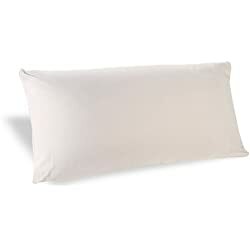 Of course, you can still use traditional pillow covers to avoid staining the pillows and for a more comfortable sleep. Pillow covers can also add color and decor to the room. Why Latex Foam Rubber Pillows? They are durable. With proper care, they can last up to five years. They are environment-friendly. These pillows are generally made of natural materials. The foam is made from the sap or milk of a rubber tree. Although some manufacturers combine this with synthetic latex, others no longer add any chemicals to stabilize the rubber. The rubbers natural color is also often retained. 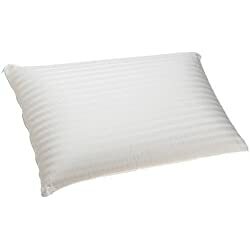 Latex pillows are resistant to dust mites and molds. They have very good ventilation, which helps keep you cool and dry as you sleep. They are contoured to ensure that your neck and head are evenly aligned while you sleep. They have a bounce-back quality and retain their shape even as you move around when you sleep. Why Not Foam Rubber Pillows? You may find these rubber foam pillows to be too firm. Even those that manufacturers label as soft may not be as soft as pillows that have soft material fillings. These natural foam pillows are not appropriate for people who are allergic to latex. Theyre also not appropriate for people who have high exposures to latex, such as those who work around latex and those have been hospitalized or undergone several medical procedures in the past. They give off a smell similar to rubber tires while still new. It can take several days or a few weeks for the smell to wear off. Dream Supreme Plus 100% Gel Filled Pillows. Priced at low range, these are for you if you like the feeling and support that down pillows provide. The only difference is that these Supreme pillows weigh heavier and are perfect for you if you have allergies. Spa 100% Natural Talalay Latex Zoned Pillow, Queen. Costing not much, these are good for you if like sleeping on your side, as these rubber foam pillows provide great neck support. These also never go flat and always remain cool. Good quality sleep is something worth investing in, as a restful sleep takes you a long way during the day. With latex foam pillows, you not only get a restful and comfortable sleep, you are also ensured of always being in the right posture.